This book has been a dream come true, and there are so many people to thank for their help and support! My editor Mary Lee at Candlewick who helped make the book what it is today. My agent Stefanie at Full Circle Literary who has been the biggest cheerleader since we starting working together. Thanks to her Alma is a book now! Laura, my Candlewick publicist, who has been busy getting all these books out in the world and in the right hands. A whole-hearted thank as well to everyone on my wonderful Candlewick team! There are not enough words to express how grateful I am! 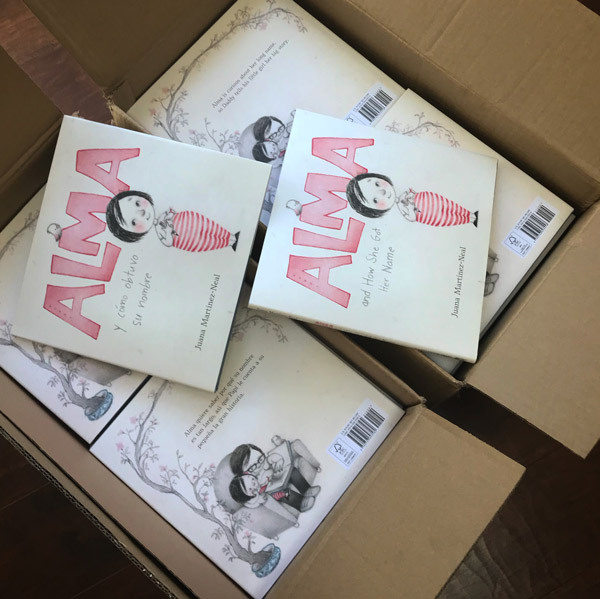 Thanks to Laura and Elsie at Candlewick, Alma is an Indie Next List Top Ten Pick and has received some wonderful reviews so far! If you are interested in getting a copy, why not support an independent bookstore? 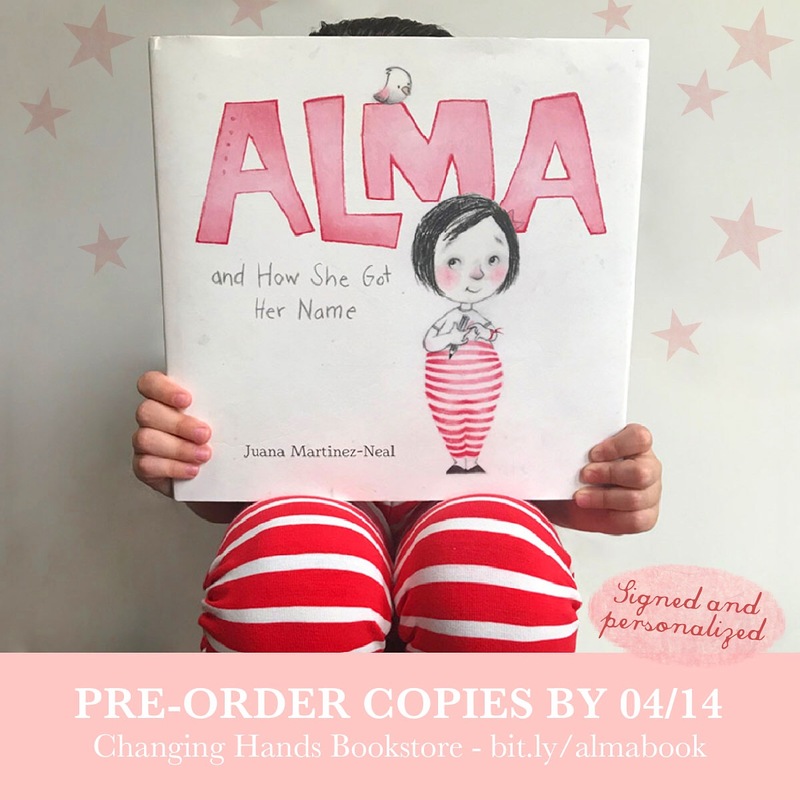 You can pre-order signed and personalized (dedicated) copies of Alma from Changing Hands, my indie bookstore. Pre-order and I’ll include stickers and signed prints when I’m signing your copy. Wondering if the good guys at Changing Hands ship worldwide? Yes, they do! Pre-order signed and personalized (dedicated) copies by April 14th by visiting this page or calling 480-730-0205 or 602-274-0067. Laura has and continues to line up some amazing events for the book! In April, I will be at the Texas Library Association (TLA) Conference, San Antonio Book Festival, LA Times Festival of Books and bookstore events at Changing Hands in Tempe, The Cellar Door in Riverside and Palabras Bookstore in Phoenix. In May, I’ll be visiting NYC and attending Phoenix Comic Fest. This Summer, I will be at the American Library Association (ALA) Conference and International Literacy Association (ILA) Conference. I’ll also be visiting bookstores in RI and CT. Please check my events page for more details and events, as more bookstore readings and events will be announced. Hope to see you this Spring, Summer or Fall! Que hermoso tu libro nos encanto. 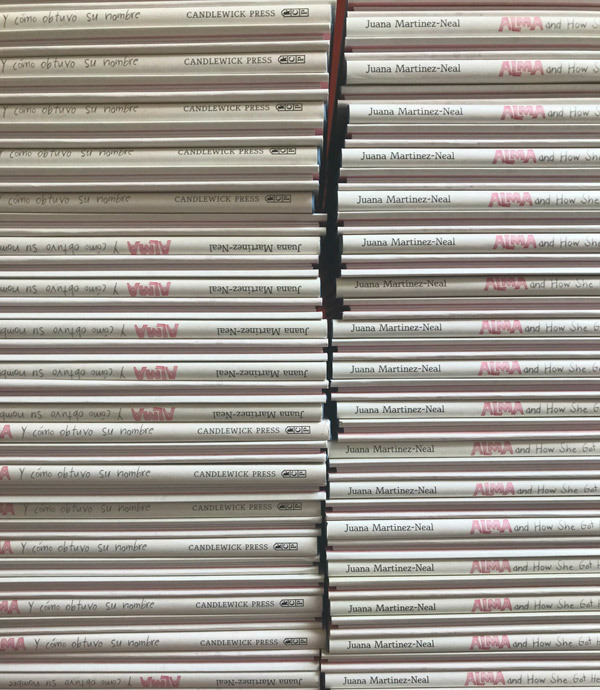 Nosotros vivimos en Australia, mi hija de 7 años trajo Alma and how she got her name de la biblioteca de su escuela y quedamos fascinadas con el. Su nombre es Carlotta y al leer tu nota al final decidió que tú eras su ancentro de donde ella recibió su nombre 😂😂 los niños y su imaginación. Muy hermoso tu trabajo. Me encantaría compra una copia dedicada pero creo que el tiempo para ello ya pasó, por favor avísame si es posible y por donde lo puedo ordenar. Un millón de gracias y continúa tu hermoso trabajo, te has ganados dos fans en Australia. Besos Luisana y Carlotta Ferrer. Luisana y Carlotta, acabo de mandarles un email. Gracias por compartir! Qué ternura!